The combination of progress in Earth observation by satellites and drift buoys on the one hand and assimilation of the resulting data for 3D numerical modelling on the other led to the birth of a new scientific discipline, which reached its twentieth anniversary in 2015: operational oceanography. Ocean modelling opens up many opportunities for scientific and economic applications, based on a thorough knowledge of the marine environment and respectful of the principles of virtuous environmental management. The story began in 1995. Some thirty scientists – oceanographers, meteorologists, mathematicians and engineers – met in a small village in the Périgord region. They had a common ambition: to describe and forecast ocean states for operational purposes, just as meteorology describes the atmosphere and forecasts the weather. All the conditions to make it possible had been met: the first altimetry satellites were measuring the “relief” of the oceans with remarkable accuracy, the first predictive models were being tested successfully, and a pool of expertise was being built up within major French government agencies (CNRS, IFREMER, IRD, Météo-France, SHOM, CNES, etc.). The die was cast on 26 June 1995: the “Mercator Project” was born, in tribute to the pioneering Flemish cartographer who created one of the first atlases and gave us one of the map projections most widely-used by oceanographers today. All concerned were working together intensely, the first Atlantic weather bulletins were broadcast, the systems were improving regularly, and, ten years later, on 14 October 2005, Mercator Ocean aired the first ocean bulletin covering the entire globe. This was a resounding scientific breakthrough: scientific findings could be consulted in real time, on a map of the world, covering temperature, currents and salinity, rendered livelier still with the eddies of an ocean plumbed to its depths, plus forecasts of upcoming changes. At the same time, there was growing interest in the European Global Monitoring for Environment and Security (GMES) programme, later renamed Copernicus, designed to give the European Union an autonomous and operational capability in the field of satellite and in-situ observation infrastructures and also to operate six Earth monitoring services specialising in the oceans, the atmosphere, the climate, land issues, emergency management and security. With regard to the oceans, the activities were soon combined with the MyOcean projects financed in large part from 2009 to 2015 by the 7th Framework Programme for Research, and then by the European Union’s Horizon 2020 programme. 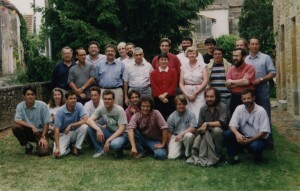 France, represented first by the Ifremer and later by Mercator Ocean, organised and coordinated the three MyOcean projects by bringing together for this purpose some 60 partners from throughout Europe, each possessing a unique capability and determined to contribute to the emergence of an integrated European service, the “Copernicus Marine Service”. The experiment has proved a success: the service provides free and open access through a single point of entry (a web portal) to reliable, scientifically qualified, constantly updated generic information about the global ocean and the seas of the European region. It covers their physical and biogeochemical condition, both on the surface and at depth: temperature, currents, salinity, sea surface height, sea ice, water colour, chlorophyll, acidity, etc. By the end of 2014, although still in pre-operational phase, MyOcean was already providing a service to nearly 5000 subscribers around the world. The European Commission was convinced, and decided that the project should move to its operational phase. It organised a consultation, and chose to entrust responsibility for the project to the French Mercator Ocean organisation. On 11 November 2014, the European Commission and Mercator Ocean signed an agreement setting up the European Union’s Copernicus Marine Environment Monitoring Service. The EU has allocated €144 million to fund the operation until 2021. This agreement testifies to the European Commission’s recognition of the entire French operational oceanography sector (in particular its contributors in the Midi-Pyrénées Region), the success of its open collaborative approach, the skills that underpin it and the determination to create a new value-added service. In December 2017, the Mercator Ocean capital has been increased and opened up to four new shareholders, major international players in operational oceanography and key scientific partners of the Copernicus Marine Service. They include: the Italian CMCC (Centro Euro-Mediterraneo sui Cambiamenti Climatici), the Norwegian NERSC (Nansen Environmental and Remote Sensing Center), the British MET OFFICE, and the Spanish Puertos Del Estado. Therefore, Mercator Ocean has become Mercator Ocean International. Looking back, this process may seem to have been uncomplicated and logical, but in fact nothing was left to chance. France is a great maritime nation by its history and its geography: it has the second largest Exclusive Economic Zone in the world. The French Navy has capabilities rivalling the world’s best, and France’s social and economic position makes it one of Europe’s leading maritime powers with €65 billion production value and more than 300,000 direct jobs. The country has key organisations that play a structural role in the field of maritime operations, research and space, which enable it to stay ahead in the field of oceanography.